This is the original Colt M1911 pistol. The 1911 is chambered for the .45 ACP cartridge. 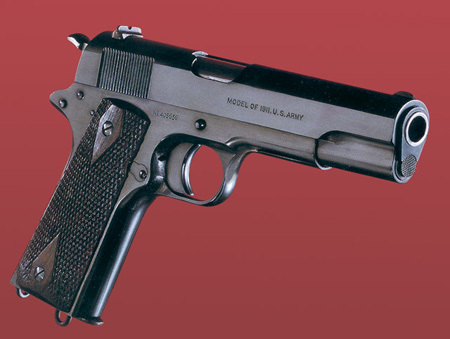 It was adopted by the US Army in 1911 at the official sidearm of the military. The 1911 pistol is more than 100 years old and it still remains one of the most popular handguns today.